This meeting will be held at the University of Birmingham on Monday 17 December 2018, starting at 2pm. It is free of charge and open to any member of an UCGAL affiliate organisation. To keep an eye on numbers, we request that you register for the meeting, either on-line or by sending an email to s.e.hunston@bham.ac.uk. UCGAL has supported the CEF’s argument to the DfE that the list of ‘facilitating’ A-level subjects be expanded to include English Language. Dr Dawn Knight was elected as the BAAL Chair (2018-2021) in September’s BAAL AGM. We would like to thank the outgoing Chair, Professor Tess Fitzpatrick, for her invaluable contributions to BAAL over the past many years. Dr Caroline Tagg will serve as the BAAL Secretary. BAAL is committed to public engagement. 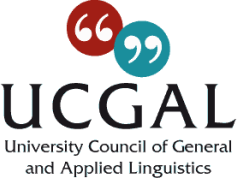 We offer the BAAL Applying Linguistics Fund of a total of £10,000 to support members to carry out innovative activities which link research and application/public engagement. A BAAL Competition for Visual Representations of Multilingualism opened in October 2018. This competition aims to provide a creative opportunity to explore new ways of representing multilingualism through visual means and to stimulate debate and raise awareness about innovative ways of thinking about multilingualism. It is part of BAAL’s initiative of increasing multilingual representation in BAAL and beyond. It is organised in partnership with CuratorSpace, Multilingual Matters, and the AILA Research Network for Creative Inquiry and Applied Linguistics. It is open to everyone, not limited to BAAL members only. The deadline is Friday 29 March 2019. BAAL 2019 will be held at Manchester Metropolitan University, Manchester, UK with the theme "Broadening the Horizons of Applied Linguistics" on 29-31 August 2019. We hope the conference theme will encourage proposals from a wide range of disciplines and that this in turn will encourage cross-disciplinary dissemination of ideas and research. Plenary speakers: Julia Carroll – University of Coventry; Tim Grant – Aston University; Kate Pahl - Manchester Metropolitan University; and Adrian Holliday – Canterbury Christ Church University (Pit Corder lecture). The deadline for receipt of abstracts: 31 March 2019.